Actually, we’re going out to the British to be a bit more exact here. Ladies and Gents’ we have 2. Yep, 2 freakin awesome Where’s Westie’s coming up in March. Check it out — WW#6 will be March 12th, and this is a very special one, since it’s out FIRST International outing for Where’s Westie. That’s right, WW is GLOBAL baby. So get your plane tickets, and let’s dance in Liverpool! THEN….only a few days later on the 17th of march. 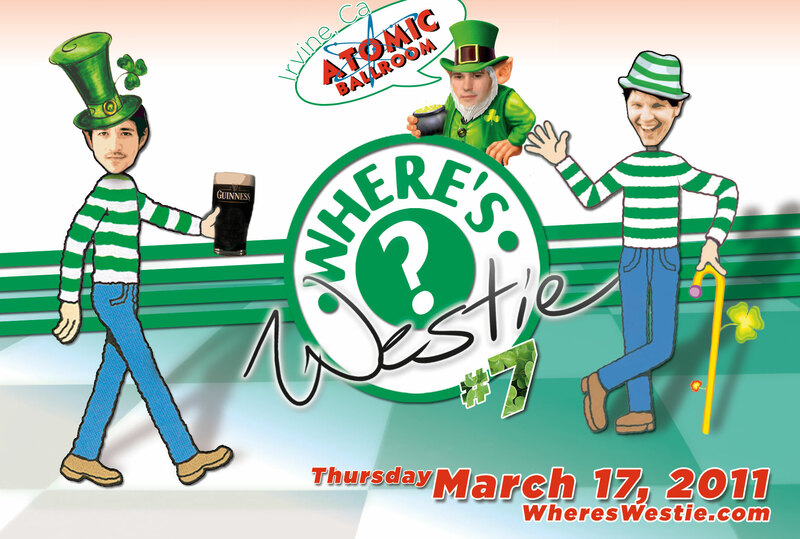 Westie is headed back to the states to give the Ben Morris’ Swingin’ the Blues dance @ AtomicBallroom(Irvine) a royal Where’s Westie treatment, and it’s on ST PATTY’S DAY. So, come out dawning your best Green outfits, and triple-step with us to some awesome music provided of course by MR. Green and MR. Silton. So come join us for either, or BOTH dances if you’re lucky enough to be able to do so! Time for another farm-fresh, USDA organic, free-range, Libbat Kosher podcast from Doug and Pete of Where’s Westie! Rock out to this poddy for many minutes, or hours, or even years to come. Only if you download it, and don’t lose it, and keep tractor of it. got it? no? listen to the ‘cast then you will. The Poddy is Free of charge, as always: It follows form of typical WW musical genre versatility: New Jam City, All Jacked Up, and some other Soulful Jams — Can ya dig? 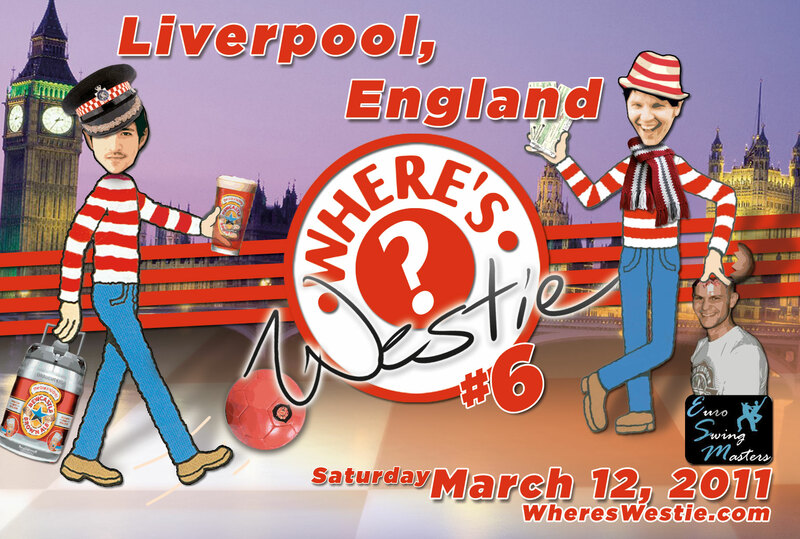 Join us for this podcast, and Join us at the next Where’s Westie too! If you like either – Let us know on our Comments Page. Please enjoy this show. Or Else. WW 5 — the Music is LIVE — Workshops! Sound the alarm… and Mark your Calendars if you haven’t already!!! THEN get ready to come out to an awesome DAY of dancing at Where’s Westie! Westie will be at the Granada — and this time it’s extra specialer-er. But Pete and Doug; What’s so special about going back to the Granada? For starters, we’ll be in the beautiful DOWNSTAIRS ballroom which has one of the best dance floors around. Great drinks and delicious food. and yep… still All AGES. OHHH, and lets not leave out that we have BROTHER YUSEF coming to play some super amazing bluesy music to dance to. Cherry on top: Doug and Pete will be teaching a beginning WCS workshop, and an Intermediate WCS workshop prior to the dance and will be themed in honor of Valentine’s day. Can anybody say Cuddle variations? Maybe that sounds weird written out. Did we say BROTHER YUSEF is playing LIVE yet?? man, that’s going to be awesome! What? Afternoon dance, WCS dancing to LIVE music, and Pete & Doug’s WW tunes as well. Valentine’s Day: We’ll be giving out special colored wristbands for single dancers attending. Additional Info: The Granada is very close to some $15/hr “foot spa” massage spots that are a nice way to spend an hour. specially after dancing on those feet for a few hours! SOOOOOooo … After dancing at WW5 — treat yourself to a relaxing massage!